Simona Halep has said that the breast reduction surgery that she underwent in 2009 was the biggest sacrifice she’s ever made. The Romanian tennis star had taken the decision after complaining of feeling immobile and uncomfortable on court. She had also said that she ‘didn’t like them in everyday life’ and that she would have taken the decision even if she weren’t a sportswoman. In an exclusive interview with Sports Illustrated, the 25-year-old was asked about her biggest sacrifice. “I think my surgery in 2009. When I did it, I did it for tennis,” she said. Halep, who is currently ranked No. 1, said it was perhaps that decision which played a role in her reaching the top of the WTA rankings. “Maybe doing that was really important to today be No. 1,” she said. “But you know, I don’t feel that I made sacrifices by being here or playing tennis because I really like this sport, and it’s never tough to go and practice. 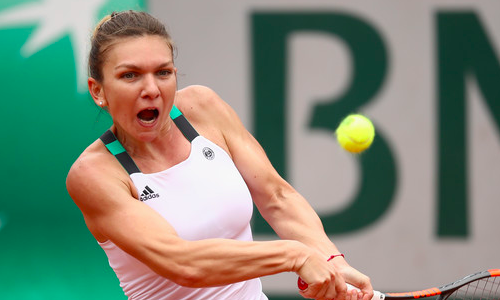 Meanwhile, Halep, a three-time Grand Slam runner-up, will hope to end the jinx at the ongoing French Open. She is scheduled to take on American Alison Riske in the first round on Wednesday.